TSB announces the launch of its latest marketing campaign focusing on the power of partnerships. The TV, print and online campaign reflects on the Bank’s unique focus on partnerships and how, like every great partnership, the more you put into it, the more you get out of it. TSB calls this Plusness. Watch the new 40-second TV spot, “Partnership and Plusness”, here. 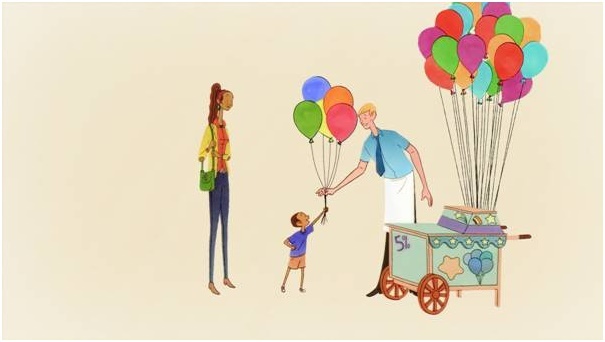 The animated ad, which airs on TV from 14 March 2016, opens with “TSB was built to help ordinary local people right across Britain to thrive”. This is followed with an explanation of how TSB has instilled its partnership ethos throughout the Bank. 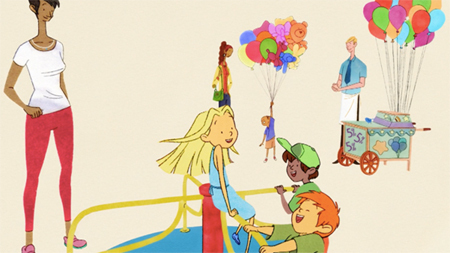 The animation – created by multi-BAFTA winning and Oscar-nominated studio AKA – shows a mother and her children playing at a carousel playground. Struggling to move the carousel by herself, the mother gets help from another in the playground, which causes the carousel to speed up and bring smiles to the children’s faces. The TV spot ends with the line, “TSB Partners are here to help you, not just sell you stuff”. Watch the new 30-second clip, “Plusness”, here. This will air from 28 March 2016. TSB was set up to help hard-working local people, and the communities they live in right across Britain, to thrive – what the Bank calls ‘Local Banking for Britain’. The Bank knows that when customers are happy they’ll want to carry on banking with TSB. A good way to make sure they are happy is by working in partnership. That’s why TSB employees are called Partners – they work in partnership with each other and with customers too. Partners are rewarded when they do as much as they can to actively help people, not just when they sell them things. Sales targets have been removed, so there’s nothing to distract them from doing just that. Furthermore, every TSB Partner is able to share in the Bank’s success through the ‘TSB Award’, which Partners receive only when they deliver brilliant service (which means doing as much as they can to serve customers’ interests) and when the Bank makes a profit. The TSB Award for 2015 is made up of an overall pot in excess of £26 million. That means eligible Partners receive a sum equivalent to 12.5 per cent of their basic salary – more than six weeks’ pay. Nigel Gilbert, Chief Marketing & Communications Officer at TSB, said: “When we launched TSB, we were very aware that banks had lost their connection with the local communities they had been set up to serve. We wanted to put that right. So, we focused on creating a bank that has a partnership with local communities. Damon Collins, founder of Joint, TSB’s creative agency, said: “TSB has proven hugely successful in only a few short years. This is largely thanks to the way it consistently does things differently to the big, incumbent banks. The media buyers for the new campaign are Manning Gottlieb OMD.